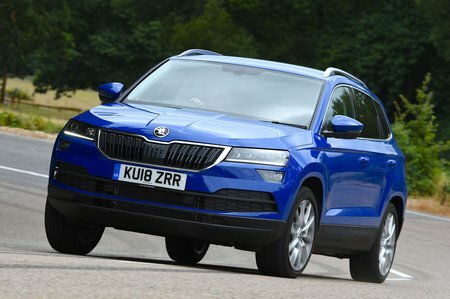 Skoda Karoq SE L Review and Deals 2019 | What Car? The next rung up gets a decent blend of useful equipment and some luxuries. The big news is the addition of VarioFlex seats that add a large dose of extra versatility. You also get Alcantara upholstery, heated front seats, an 8.0in touchscreen with sat-nav, keyless entry and go, front parking sensors, a rear-view camera, LED headlights and bigger 18in alloy wheels. Well worth considering if you can stretch to it.